Your personality is defined by the way you dress. Dressing up has always been the touchstone of culture with the fashion and garment industry driving the wheels of all economies. What you wear is personal choice but the influence of culture, fashion, region and religion is difficult to overcome. The question of dress for men is not as controversial as that for women. Womens dressing is in fact firmly equated with the liberty, freedom, modernity and civility of any given society. The question of dress stirs up the deepest of emotions amongst women and it can be difficult to convince them of any alternate model of dressing up other than what is in vogue. Male dominance, religious bigotry and curtailing womens liberty are the expected allegations if one were to talk of modest dressing. Let us turn to our Creator Allah Subhanahu Ta'la to find out what He has to say. Translation: O children of Adam! wear your beautiful apparel at every time and place of prayer: eat and drink: but waste not by excess for Allah loveth not the wasters. Islam being a complete 'Deen' (system of life) has not left any sphere of life without definite guidance and injunctions. The question of 'dress' being an important component of human life has therefore been naturally addressed and answered without ambiguity. The human body has to be covered. How much? For males the area from the navel to the knee cannot be exposed. This part to be hidden is called "Satar" However a womans "Satar" in Islam is her entire body except her face, palms and feet. Dress must not be transparent or too tight. The idea is to discourage exposing ones body contours. Some Islamic scholars call for a womans face also to be hidden and hence we have the niqab or veil. What are the benefits of modest dressing (Purdah) ? What is the harm in dressing the way one likes without any regard to accepted norms of decency and socially acceptable behaviour? 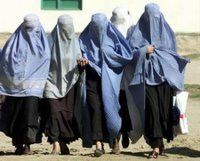 Are Muslim women oppressed and forced into backwardness by the all enclosing veil? The questions can go on and there are answers to all of them. What is required is a study with an unbiased and empathatic mind. So, dress as you desire but within the boundaries of the Divine dress-code. A must read Maududi on Purdah. 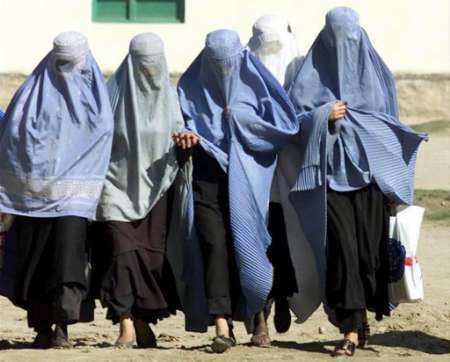 An American revert's scholarly treatise on should a Muslim woman cover her face? Posted by Arshad on Tuesday, August 01, 2006.